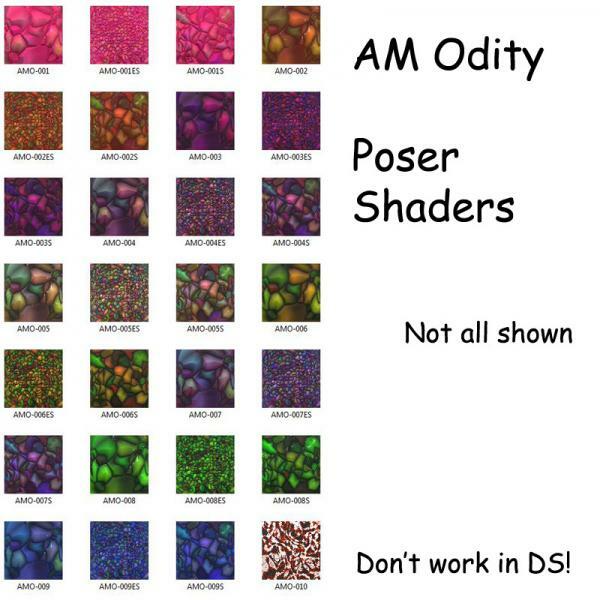 A set of Poser shaders which only work in Poser and are not DS compatible. Perpetual Revision (10 months ago) Inappropriate? These are certainly "odd" but surprisingly useful shaders. I have all your shader packs and find them tremendously useful for a variety of items in Poser. Thanks! Levanah (6 years ago) Inappropriate? You're very welcome guys! Thanks for your encouragements! catlinadances (6 years ago) Inappropriate? MarciaGomes (6 years ago) Inappropriate?